This paper is dedicated to my dear friend the late Professor Ralph Lainson FRS (Figure 1)1, without him there would be nothing to write about. His drive and enthusiasm for finding and understanding parasitic protozoa were an inspiration to those who worked with him. Summaries of research in the Instituto Evandro Chagas related the presence of Wellcome Trust funding between 1965 and 1985 are available in the two volumes published in 1986 to celebrate the Institute's 50th Anniversary entitled "Instituto Evandro Chagas; 50 anos de contribução às ciências biológicas e à medicina tropical"2,3,4,5,6,7,8,9. They contain a great deal of detailed information and it is not my intention to repeat this. The present article contains opinions and information that are not included in the above-mentioned publication and its focus is to tell the story of how the joint research efforts between the Wellcome Trust and the Instituto Evandro Chagas (IEC) evolved and to highlight the basic advances that they were responsible for. However, before starting I must emphasize that good will and trust on both sides were the fundamental ingredients that led to the success of this collaboration. Also it is impossible to adequately summarize all the scientific contributions related to the Trust's funding, to do this I would need to write a book. What is highlighted in this paper is the research that I was most intimately involved. So please do not feel that because something is not mentioned that it is less important. People have often asked how the Wellcome Trust became so supportive of parasitology research in the IEC, Pará State, Brazil. Historically you could go back to Sir Henry Wellcome and ask why he created the Trust, but you can find the answers to this in the literature10,11. 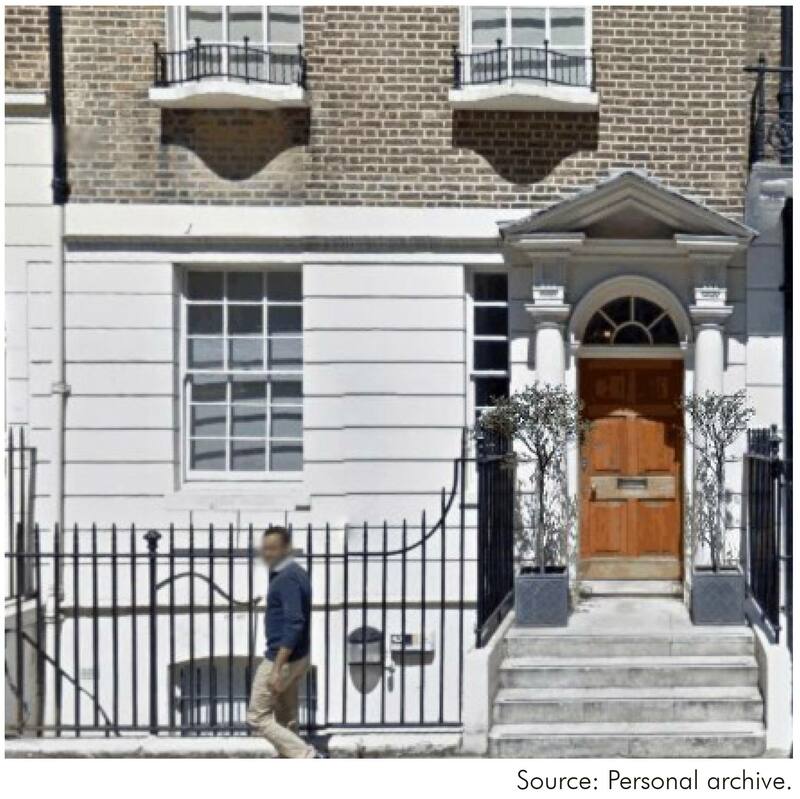 However, looking back there was one crucial event that set the scene for the Wellcome Trust's involvement in the IEC. 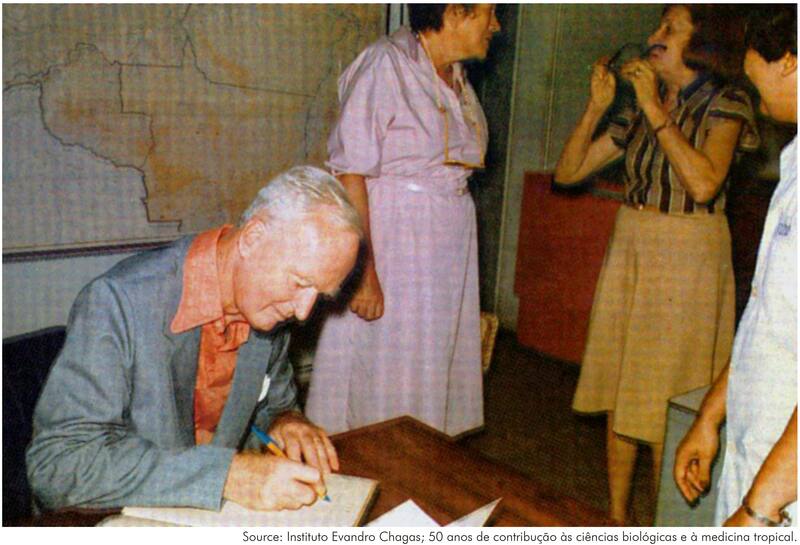 It was Prof Percy Cyril Garnham and Dr David Lewis's visit to Central America in 1957 to investigate a disease, that was worrying the public health authorities of British Honduras, known locally as "chiclero's" ulcer12. During their visit, they spoke too notable Central American parasitologists. Amongst them Prof Fernando Biagi, who had considered that the causative parasite of this disease in Mexico was a new subspecies of Leishmania tropica which he named L. tropica mexicana and Dr Fernando Montero-Gei in Costa Rica who was working on a very strange trypanosomatid that was considered to live inside red blood cells of sloths. Prof Garnahm's first PhD student at the London School of Hygiene and Tropical Medicine (LSHTM) was a young man from Sussex, Ralph Lainson. He was awarded his doctorate in 1955 and continued to work in the school. One day, after returning from Central America Prof Garnham approached his new prodigy and said "Lainson, you can't learn anything about tropical medicine in London, you've got to go to the tropics"1. It was Lainson's choice and in 1959 he set sail for British Honduras that later gained its independence and today is known as Belize. He was Officer-in-Charge of the newly formed Dermal Leishmaniasis Unit where he remained until his return to the LSHTM in 1962. His fundamental discovery of leishmanial lesions on the tails of wild rodents was to be the key that opened our door to the IEC13. In 1961, I was Prof Garnham's last PhD student. One of the options he suggested to me for my thesis was to determine if a parasite of sloths, known as Endotrypanum, was inside or merely adhering to the sloth's erythrocyte. This was undoubtedly the fruit of his visit to Dr Montero-Gei in Costa Rica. I accepted the challenge and spent nine months in Central America capturing and studying the blood parasites of sloths that led to me gaining my PhD in 1964. Coincidently both of us had contracted cutaneous leishmaniasis while working in Central America. This sealed a collaboration that was to last for 30 years and a lifetime friendship. Ralph convinced me that we should do a cross immunity experiment using ourselves as guinea pigs to see if there was any cross protection between his Mexican and my Panamanian leishmania. The result was that I was immune to the Mexican parasite but Ralph was not immune to the Panamanian one14! Unknown to me at the time this was an extension of his work with late Dr Robert Stow (Bill) Bray on the cross immunity of American leishmaniases in monkeys15. Our experiences in tropical America had made us both restless to get back to field work. Ralph took the first step and convinced Bill Bray that they needed to get more fresh isolates and that he could do this on his way to present some of their work at the 1964 7th International Congress of Tropical Medicine and Malaria in Rio de Janeiro, Brazil. On his way he visited laboratories in Colombia, Venezuela and Brazil and one of the last was the IEC. At that time the founders of the Rockefeller Foundation's arbovirus laboratory, Drs Otis and Calista Causey were still working there. Ralph showed Otis a photograph of a rat's tail with a leishmanial lesion from his British Honduran work. Immediately Otis said he had seen similar lesions in rats that were being captured in the Utinga forest, Pará State. In Rio, he showed Ralph a smear from the tail of a rat (Oryzomys goeldi) from Utinga that was teaming with amastigotes. The scene was set and on returning to London the wheels were set in motion to go to Belém, Pará State, Brazil. The first was to ask me if I would like to join him and without hesitation I accepted. Later Ralph confided to me that although he and Bray certainly needed more strains the prime aim of his trip to South America was to find somewhere to work. With Prof Garnham's help a meeting was arranged with the Wellcome Trust's Director, Dr Peter Williams in his office in 52 Queen Anne Street, London, W1G (Figure 2). We explained what we wanted to do and he said fine but send me a short written proposal with a 3-year budget (£43,000). My work in Central America had been funded by a Wellcome Trust travelling fellowship. To my surprise he said "Are you fully recovered!?" referring to the fact that I had contracted hepatitis in Panama in 1962. At the time, I had received a telegram from one of the Trustees, Sir John Boyd asking if I would think of returning to England for treatment and convalescence. However, I decided to stay and recovered with the help and care of friends at the Gorgas Memorial Laboratory and continued in Panama. We learnt later that the Trustees had liked our proposal but Sir John Boyd, who had extensive experience in the tropics, foresaw the difficulties that we would face and Dr Williams noted that establishing even a small unit was "quite a complicated exercise"11. We both made our family plans and together set sail on the 9th September 1965 on a Fyfe's Banana boat that was returning to Kingston, Jamaica from Southampton. From there we made our separate ways to Belém. No specific administrative arrangements had been made but official plans were set in place by our dear friend Dr Miguel Azevedo, who was the IEC's director, and Brazil's most eminent and influential figure in tropical medicine at the time, Prof Rodrigues da Silva. I wish to take this opportunity to say in print how extremely grateful I am to my dearest and unfortunately deceased friend Miguel for his patience during our time at the IEC, especially for helping us during those first crucial months with so many mundane chores that ranged from buying food to going to auctions in the evenings to buy furniture. Learning to count in Portuguese was fundamental and our teacher was the auctioneer! Neither of us spoke much Portuguese when we arrived in Brazil and we were totally unaware of the 1964 military coup d'etat. In hindsight one realizes that most of Brazil's young and eminent parasitologists over the next few years left the country with the notable exception of Prof Samuel Barnsley Pessoa. Because of this during our first years we were working in an academic vacuum in terms of Brazilian parasitology. In the years to come we were befriended and helped by Drs Gilberta Bensabath and Francisco Pinheiro who became the IEC's directors and to whom we owe a great debt. On our arrival, we were generously presented with four very empty laboratories and in October 1965 work began. The only activity in the parasitology section at that time was the routine examination of faecal samples by two technicians. Without doubt the presence of the Rockefeller's extremely well organized arbovirology section, under the able direction at that time of the late Dr John Payne (Jack) Woodall, helped us to get started much more quickly than we would have done under normal circumstances. We borrowed essential items that we could not buy locally, replacing them when our own supplies arrived that was nearly a year later. We knew that we needed hamsters and there were none at that time in the Institute or in Belém. In 1963 I had met Maria and Leônidas Deane when they were visiting Prof Garnham in London, so I had their address in São Paulo. I wrote to Leônidas in 1966 and asked him if he had any available. Leônidas replied immediately saying yes but that there was just one problem and that was I would have to pick them up personally. That was my first trip to São Paulo. I carried four pairs back to Belém and we started to breed them in one of our now air-conditioned laboratories. We did this as we were concerned that they might not adapt immediately to Belém's humid heat. They bred well and we were soon able to move our small colony to an animal house that we had adapted from an old generator shed. 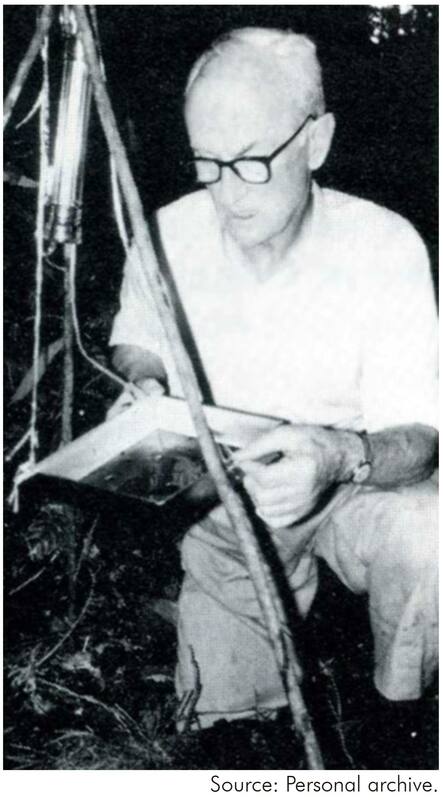 Otis Causey's discovery led to two publications in 196416,17 and two more in 196618,19. The IEC was created in 1936 under the name of the "Instituto de Pathologia Experimental do Norte" (IPEN), to study visceral leishmaniasis in Pará State2. 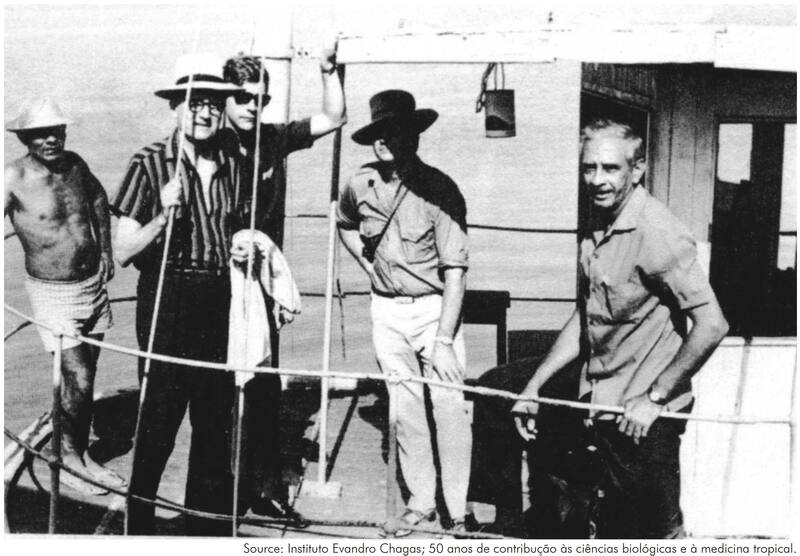 Once again leishmaniasis was having an impact in the IEC by rekindling parasitology research that had been virtually abandoned since 1940, except for the extremely important taxonomic sand fly studies of Professors Octávio Mangabeira Filho and Reinaldo Damasceno in the 1940s. I would like to put on record the sad fact that we searched for their specimens but nobody knew what had happened to them. The next years were dedicated to setting up the laboratory and concentrating on the rodent enzootic leishmanial cycle in the Utinga forest. Field equipment, which included vehicles were purchased, culture techniques were established as well as a photography laboratory staffed by Aluízio Figueiredo Silva, whom I trained in microphotography. Our field work was greatly facilitated by the arbovirus's capture and release program. It enabled us to locate where the rodents were becoming infected and to find out what sand flies were biting them in that location. This strategy was and still is the preferred one for vectors/reservoirs studies. By 1968 we had five staff, one of whom was paid for from Wellcome funds. We found leishmania in another rodent (Proechimys guyannensis) and in 1967 the parasite's vector, that was identified as Bichromomyia flaviscutellata by Dr David Lewis (Figure 3). This work resulted in the two papers that were published in 196820,21 and was the beginning of the "Leishmanias in Brazil", series that ended in 1987 with number XXIII. I cannot explain why the series ended except perhaps because of comments from friends and colleagues who said "Is the series going on forever?". I am sure that very few people have read our early papers but in the very first one20 we said "Although the Leishmania from Oryzomys at Utinga has been described as L. braziliensis (Nery-Guimarães, 1964) its exact nature is as yet uncertain" and we then went on to say "The Utinga parasite and L. mexicana both grow luxuriantly in NNN medium and differ in this respect from most of our strains of L. braziliensis and L. guyanensis, which grow much more slowly in culture and hamsters." This was based on isolates we had made from patients and the fact that the vector of L. mexicana was at the time called Lu. flaviscutellata. 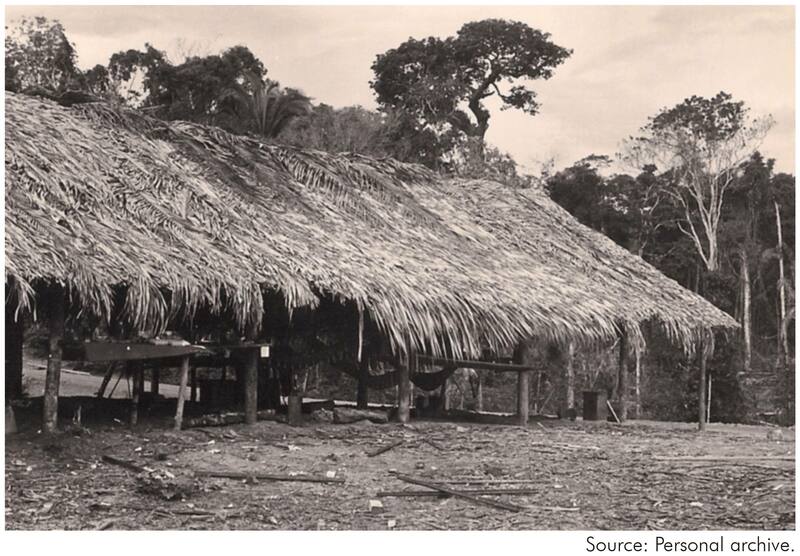 At the end of June 1968, we spent six weeks in the Xavantine region of Mato Grosso with the Royal Society and the Royal Geographical Society's Xavantina/Cachimbo expedition. The results published in 1970 were frustrating because once again the leishmanias we found in animals did not appear to be the same as those in patients, echoing our 1968 results. If advances were to be made with vector studies, it was quite clear that we needed a full time medical entomologist. Initially Dr Lewis had helped us with identifications but he himself said "you must have somebody working full time with you in the Institute". Dr Azevedo was aware that more research staff was needed in the parasitology section and in 1967 he contracted Dr Habib Fraiha Neto to replace Dr Sérgio Franco who was working on helminths but had been transferred to Rio de Janeiro. In friendly informal discussions, it was clear to me that his passion for accuracy and detail had the hallmark of a taxonomist, so he began to help us with sand fly identifications. Soon Habib became an expert and was involved in the naming and description of many important sand fly vectors, such as Psychodopygus wellcomei22 and Nyssomyia umbratilis23 and others that later became implicated in leishmaniasis transmission24,25. On the 11th July 1967, a helicopter carrying one of United States Steel's geologist, Breno Augusto dos Santos, made an emergency landing in a clearing due to bad weather. The young geologist realized they had landed on a mountain of iron - the Carajás had been discovered. Exploratory teams were ferried in by air and concerned about the health of these workers, United States Steel Corporation (USS) invited Ralph and myself to visit the area in November, 1968 to assess potential health problems. Conditions in those early days were precarious. The only supply line was cargo planes, such as the Curtis C-46, and being over 700 m above sea level the Carajás was often enshrouded in cloud for days. The day we were scheduled to leave it began to rain and visibility was zero. Food was running out and we were confined for two days to a make shift hut (Figure 4). Neither of us had been so cold since leaving London, especially so because we were sleeping in hammocks and the wind howled through the gaps of the huts plastic covering at night. 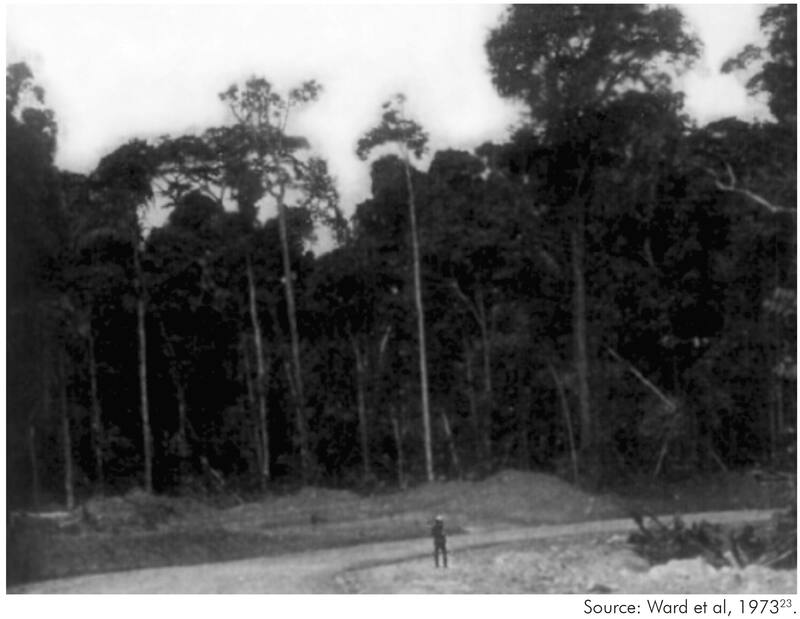 We were bitten by large numbers of sand flies along the narrow earth roads that cut through the primary forest (Figure 5) at night and surprisingly in bright sunlight during the day. They belonged to a new species that was named in 197122 as Psychodopygus wellcomei (Figure 6A and 6B) after the Wellcome Trust's founder Sir Henry Wellcome. Given the number of phlebotomines we had captured, it was clear that leishmaniasis was very high on the list of health problems that the workers would face and later as roads were opened it reached epidemic status. In October 1969 Prof Garnham visited us in search of a malaria parasite that Prof Leônidas and Maria Deane had found in 1938 in a bat. We failed to find the Deanes' parasite but we did find an almost identical one in another bat species that was named Polychromophilus deanei26. To catch the bats, we needed to navigate small rivers in the Abaetetuba region, Pará State and set up mist nets on their banks. We had a small aluminium fishing dingy with an outboard motor but how were we going to get it there? Dr Miguel solved the problem by contacting Petrobras's exploration unit's director, Dr Otávio Carvalho Melo who provided us with a large boat and crew that toed our dingy. It was a very exciting and memorable trip (Figure 7) marked by fish jumping into our dinghy during the night as we navigated one of the small rivers. For a moment, we had no idea what those wet, cold, slimy, wriggling animals banging against our legs were - to our relief, our torches showed they were very edible fish. Thankfully that night Prof Garnham stayed on our mother boat! In July 1971 Dr Dudley Dumonde (an imminent immunologist from the Middlesex Hospital); Bill Bray, who was still at the LSHTM and Prof Wallace Peters (Pete), who was the Walter Myers Professor of Parasitology at the Liverpool School of Tropical Medicine visited us. We had been so impressed at being bitten during the day that we decided to hire a Cessna (aircraft) and take them to the Carajás so that they could see it for themselves. By then things had improved and after having lunch in a superb bungalow that overlooked one of the valleys we went off to show them that sand flies do bite during day. We stood for nearly an hour in the road, nothing. In desperation we went into the forest, again nothing. What was wrong? We didn't know but later we found out that Ps. wellcomei goes into for up to four months during the dry season which occurs in the middle of the year23,27,28. During this same period the late Dr Robert (Bob) Killick-Kendrick, a close friend of Ralph's from his student days at the LSHTM and a leading expert on sand fly biology, visited the IEC. His focus was on sand flies and it marked the beginning of his collaboration with Richard Ward. Dr Irene Landau based at Paris's Museum National d'Histoire Naturelle visited us around the same time to work on lizard haemosporidian, especially the newly discovered non-pigmented parasites9,29. During our first five years we wrote 17 papers on a variety of subjects that ranged from of a new haemosporidian genus in lizards30, a new haemosporidian family in lizards9, visceral leishmaniasis in foxes31, the presence of an African trypanosome in water buffalos32 and autochthonous cases of Chagas Disease in Belém33. We had opened Amazonia's Pandora's parasite box but it had been opened in our search for leishmania and there was no way that we could close it being parasitologists! But what was important was that the different lines of research were being defined. As our team grew, the group became officially known as the Wellcome Parasitology Unit in part to comply with Brazil's complicated fiscal regulations related to financial matters. This allowed us to buy, register and sell vehicles as well legally employ staff. Although I do not remember writing it I was quoted as follows11 (page 242) - Dr Shaw wrote once - "the financial side of the Unit is sometimes more of a headache than the scientific investigations". The original 1964 grant covered three years but we were given a two-year extension that brought us up to 1970 when Tom Hopwood took over the management of the Unit. In hindsight, I conclude that his presence was a key to our survival and further funding. Neither of us had any guaranteed job and we had gambled our professional and personnel futures on the success of our work. These were very worrying times and we literally breathed a sigh of great relief when we learned that funding had been extended until 1975. We were once again assessed by the Trustees during a meeting on leishmaniasis that we both attended in Cambridge in October 1973. They concluded that we were the only coordinated research group working towards the control of an extremely important disease. With this our funding was extended for five more years until 1980. A distinguished group of scientists consisting of Prof Richard Southwood FRS (Knighted in 1984), Drs Leonard Goodwin FRS and Tom Hopwood came to the IEC in 1978 to perform an onsite evaluation. They recommended a further five years that was extended for the same period in 1983. In 1979 he left the Trust and his position was taken by Dr Bridget Ogilvie. In 1991 she became the Wellcome Trust's Director (gaining a damehood in 1996). She visited the IEC as Assistant Director and was extremely supportive of further funding that included Prof Jennie Blackwell's project which for me was extremely important. With Ralph's retirement in 1992 funding to the Wellcome Parasitology Unit ended but Wellcome support continued with Prof Jennie Blackwell's project on the genetic susceptibility to disease. Besides being one of the world's leading experts in the field of genome-wide studies on disease susceptibility, Jennie is renowned for her exceptional generosity, kindness and willingness to help and expand research. At this time, Jennie was deeply involved in the planning and funding of the Cambridge Institute for Medical Research (CIMR) and became its founding director in 1998. In 1992 I created a non-governmental organization (NGO) based at the IEC called "Belém Research Projects" to look after Jennie's grant.For me it was personally a difficult period and I cannot thank Jennie enough for her generous whole hearted support. Between 1988 and 2006 individual Wellcome Trust grants were awarded to Prof Christopher Dye and Orin Courtenay to study the dynamics of canine visceral leishmaniasis in the island of Marajó, Pará State and the late Prof Clive Davies to study cutaneous leishmaniasis vectors. Two chairmen of Wellcome Trust visited the IEC, Baron Oliver Franks with his wife Baroness Barbara Franks (Figure 8) and Dr Peter Williams came in 1979. I had no idea at the time that we had met a man who was considered to have been "one of the founders of the post-war world". In the 1980s we were again honoured by a visit from the subsequent chairman, Sir David Steel accompanied by his wife and Dr Williams and his wife. During our first years, we made many field trips to investigate cutaneous leishmaniasis in different settings. They ranged from Indigenous tribes such as the Tiriyó in Pará (Figure 9) to stretches of the newly built Transamazon highway, where we either stayed in very precarious settings (Figure 10) or made long trips by car, stopping at night to catch sand flies34. Many were with the Brazilian Air Force and navigation was by following a map using the rivers as roads since most settlements were on the rivers. It was in these trips that we began to appreciate the complexity and the beauty of the epidemiology of cutaneous leishmaniasis. One of the greatest challenges was to marry up the strains that we isolated from man with those from animals and phlebotomines. Gradually a range of different techniques was used to do this which is discussed in the section entitled "New techniques". Caring for patients who were referred to the IEC for diagnosis was extremely difficult and initially depended on the help of medical doctors allotted in other sections of the IEC. An even greater challenge was that some patients needed to be hospitalized. We were fortunate in this to be helped by Drs Arival Brito, Raimundo Leão e Ubirajara Salgado who miraculously found beds in the Sanatório João de Barros Barreto that today is known as the Hospital Universitário João de Barros Barreto. Dr Fernando Tobias Silveiras's participation in the leishmaniasis program began in 1980. His prime objective at that time was to give full medical support to the patients who up until then had been examined and treated by medical doctors from Universidade Federal do Pará, the local health departments or other IEC sections. He added a personalized health care that was tailored to assess the effectiveness and safety for each patient. This was evaluated against the patient's social background and his general health. His personnel concern for the general wellbeing of each patient automatically guaranteed greater levels of collaboration and treatment success. Fernando's interest in the different clinical forms that he saw led him to question "why were these different if the parasites were apparently the same?". In some cases, the parasites were different but in others they were not. Immunological components are clearly responsible for these differences as reflected by differences in skin tests35,36. New parasites belonging to the subgenera L. (Viannia) were discovered in animals and later in man, such as L. (V.) naiffi37 and L. (V.) shawi38 or vice versa such as L. (V.) lainsoni39. Others have so far only been found in only one host such as L. (V.) utingensis40 and L. (V.) lindenbergi41. The vectors of L. (V.) braziliensis, L. (V.) guyanensis, L. (V.) lainsoni, L. (V.) naiffi, L. (V.) shawi were found to be different phlebotomines with distinctive ecologies (see "Strengthening entomology" section). Similar studies on L. (L.) amazonensis confirmed that its vector was also different and was associated with a specific ecological pattern. These observations show that cutaneous leishmaniasis in Amazonia has different epidemiologies that require different control strategies. Cross immunity experiments in monkeys with these different cutaneous parasites showed complex patterns of protection42,43. One surprising result was that the localization of the primary infection site affected subsequent clinical immunity. Prof Jennie Blackwell arrived with Christopher Peacock in October 1992 to expand her immunogenetical studies on mycobacterial and leishmanial infections. A special laboratory with new lamina flow cabinets was set up in a newly constructed extension of our front laboratory. With so many obligations in Cambridge, Jennie's stays were naturally short but she managed to visit the field collecting stations on several occasions (Figure 11) and it was left to Chris to get things working. Periodically Dr Marie-Anne Shaw, who worked in Jennie's laboratory at Adenbrooke Hospital's Medical School, came to work with material that had been collected, processed and stored. Studies were focused on investigating the association of genes that were potentially associated with disease susceptibility. Preliminary results of a Belém family study showed NRAMP1 was weakly or not associated with susceptibility to human leishmaniasis or tuberculosis44 whereas HLA classes II and III appeared to be important. A - two gene model using TNF-α and NRAMP1 - did however, show a weak link to tuberculosis susceptibility45.Capitalizing on our long experience with cutaneous leishmaniasis the T-cells response of patients infected with genetically different parasites was evaluated46. Cells from patients with diffuse cutaneous leishmaniasis responded poorly to all the antigens except GP46 were as the reverse was true for those from mucocutaneous patients46. Similar studies were also focussed on visceral leishmaniasis patients and their families47. No association was detected with development of pathology and the HLA class II and III genes nor TNF-α. The immunogenetic platform that had been established was also used for studying the response of dogs belonging to the Marajó cohort and the acquired expertise paved the way to later studies on the immunology of visceral leishmaniasis beyond the period of Wellcome Trust support. Another seed that had been sown flourished. Our first contact with visceral leishmaniasis was isolating the parasite from a fox31. In 1982 our diagnosis of fatal human cases drew our attention to the already known endemic foci of Marajó48 and Santarém49. In both places we found large numbers of Lu. longipalpis, Infected Lu. longipalpis and infected dogs and a fox in Marajó50. The big epidemiological difference between these two foci was the virtual absence of human cases in Marajó. The proximity of the Marajó to Belém facilitated our access and so began 23 years of epidemiological research on visceral leishmaniasis in the Municipalities of Cachoeira do Arari and Salvaterra. Ralph's conviction of the importance of foxes was to become an academic debate that continues to the present day. He contacted one of the world's experts on canid ecology, Oxford University's Prof David McDonald, to study fox ecology in Marajó. The study began in 1988 together with Dr Orin Courtenay, who was beginning his PhD at LSHTM under Dr Christopher Dye.This marked the beginning of another phase in which greater attention was paid to the dynamics of the infection. However, one of the first papers51 described a relationship of the fox to the peridomestic environment but it also showed the infectiousness of a fox that had been experimentally infected by sand flies to Lu. longipalpis. Statistical analysis applied to the dog and fox data showed that fox infections tended to remain stable while dog infections recovered52. There was also no evidence that fox infections were associated with their visits to villages. In respect to dog infections these authors did say "However, there is some evidence that incidence rates are higher in hunting dogs which visit sylvatic sites more frequently". The cohort study data between 1992 and 1995 on foxes, dogs and phlebotomines, now involving Dr Rupert Quinnell and Dr Lourdes Garcia, led to the determination of different infection parameters including the basic reproduction number (R0)53. With the help of mathematical models, the Marajó studies led to palpable questions being asked about the validity of culling dogs as a control method. This culminated in a paper by Christopher Dye on the logic of visceral leishmaniasis control54 showing how inefficient dog culling is as compared to other control methods. 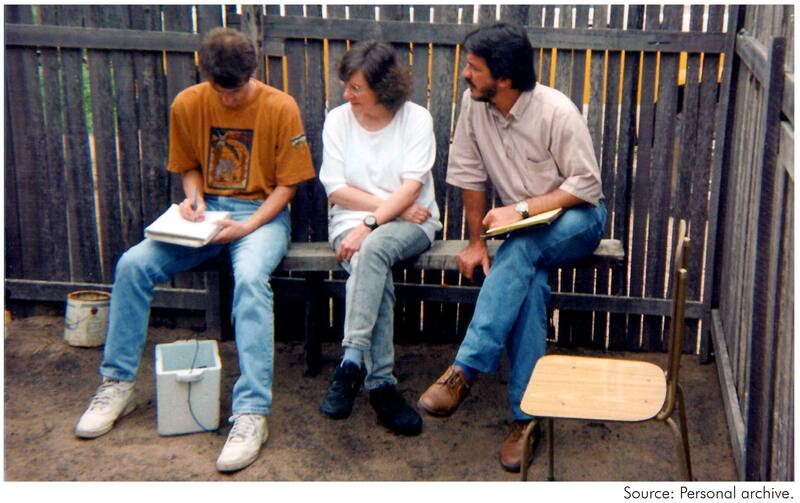 More people became involved in the research network and in 1995 under Wellcome Trust support the late Prof Clive Davies pos-doc, Diarmid Campbell-Lendrum came to Brazil and the IEC to study the biology of two important vectors of cutaneous leishmaniasis, Ny. whitmani and Ny. intermedia. By coincidence he ended up working in Pernambuco with Dr Sinval Brandão-Filho who was one of my first PhD students at São Paulo University. Together we found what we had failed to find during 30 years' research in the IEC - the reservoirs of L. (V.) braziliensis. Richard (Douglas) Ward became our second entomologist, joining us with his wife Mary in 1970 and leaving with their two children in 1977 for Liverpool, where he took up the post of reader, in Professor Peters' Parasitology Department at the Liverpool School of Tropical Medicine. Richard expanded our studies on the biology of Bi. flaviscutellata but he is perhaps best known for his discovery that Lu. longipalpis was a species complex55. However his development of the membrane feeding method for sand flies56 was extremely important as it opened up a whole new research area on parasite/vector interactions. It led to the first experimental transmissions of L. (L.) infantum chagasi by Lu. longipalpis and of L. (L.) amazonensis by Bi. flaviscutellata57,58. The previously used pipet artificial feeding method59,60 was technically exceedingly demanding and fly death was a problem due to the immobilization of the flies during forced feeding. For me these two transmissions had the same importance and both should have been submitted to Nature, but this honour was reserved for the visceral parasite. It is a pity that the L. (L.) amazonensis/Bi. flaviscutellata model has never been exploited. 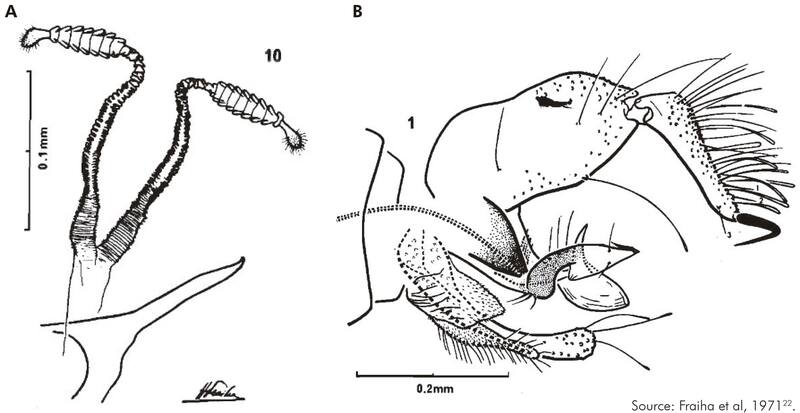 It also enabled us to study the development of different Leishmania in the sand fly's intestine61, a biological character that was to become the corner stone of our taxonomic revision of the genus62 and led the creation of the subgenus L. (Viannia)63. 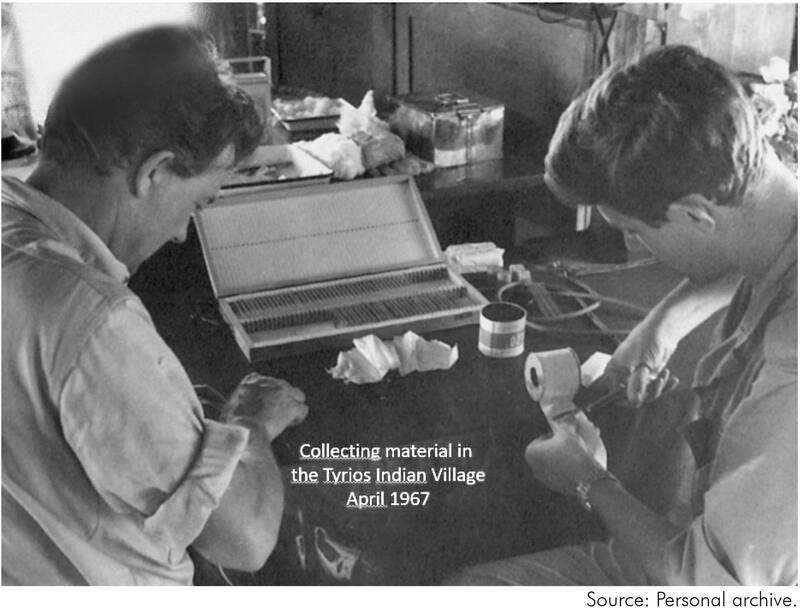 While studying for his PhD Paul Ready visited the IEC and did field work between February and September 1974, this was the beginning of a very productive collaboration with Richard and Habib. It was during this period that he noted that our 1971 isolated observation of the absence of Ps. wellcomei in July 1971 in the Carajás was in fact a seasonal phenomenon27. 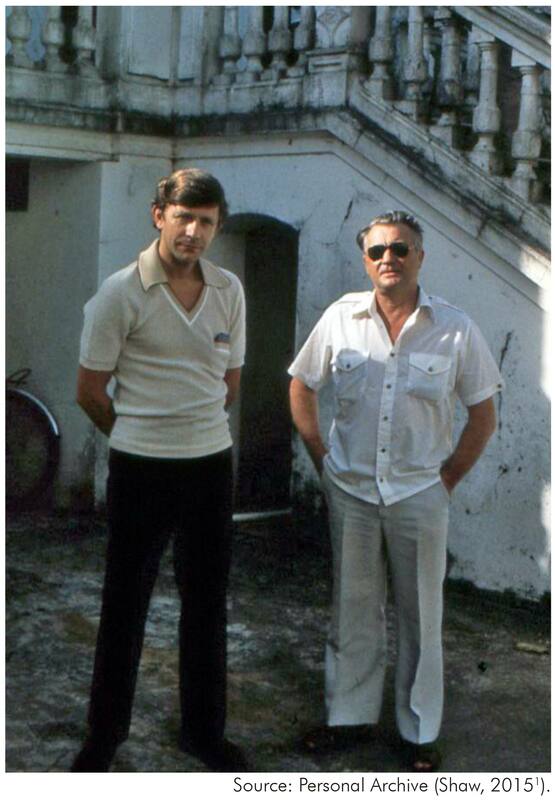 In 1977 Paul moved with his young family to Belém until his return to England in 1983 to take up a prestigious post in the Entomology Division of the British, in which David Lewis had been based during his visits to us in the 1960s. His many contributions ranged from describing new phlebotomines24,25, distinguishing closely related vector species64,65 and the biology of important vectors27,66. Some of these studies were continued in collaboration with IEC colleagues at the British Museum after he left Brazil67,68. His meticulous attention to detail in field studies is reflected in studies on the ecology of Ny. umbratilis that explained why L. (V.) guyanensis may be contracted by man throughout the day and night. Our last expat entomologist was Dr Lee Ryan who replaced Paul in 1983. He critically assessed what his predecessors had done and concentrated on what he felt they had not done or had not exploited adequately. He did this with incredible drive and enthusiasm, taking full advantage of our well-trained team of entomological technicians. While at the IEC Lee published 34 papers and forged collaborations with colleagues in Brazil69 and in the UK such as Richard Ward70. Lee excelled at field work and his success at isolating flagellates increased with each trip. He asked me how to avoid contaminations. I suggested preparing the media in vacutainer tubes and instead of opening them inject the liquid containing the wild flagellates. This small modification considerable increased the number of successful isolations. He transmitted L. (L.) amazonensis and L. (L.) infantum chagasi with furcata, L. (L.) amazonensis with Ps. carrerai71,72 and of L. (V.) braziliensis by a naturally infected wild caught female Ps. wellcomei/complexus28. With Dr Habib he made contributions to phlebotomine taxonomy that included describing new species and the publication of field guide of identifying local phlebotomines73. 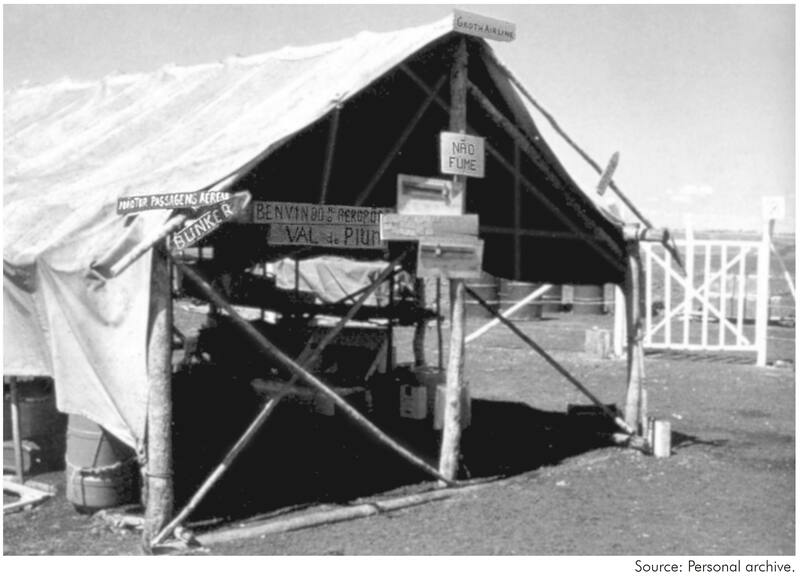 The 1960's were marked by field studies in which considerable numbers of parasites and phlebotomines were collected and the 1970's by the development of methods to analyse them. It was quite clear that to understand the epidemiologies of the parasites that were isolating we needed more accurate and faster identification methods. In 1970 the Trust's Assistant Director Dr Tom (B.E.C.) Hopwood, who took over the management of the Trust's field studies, convened a meeting at Washington's 1970 2nd International Congress of Parasitology. Without doubt this meeting and Pete's previous visits to Brazil, when he saw "espundia" for the first time, stimulated the interest of the Liverpool School of Tropical Medicine's Parasitology Department in developing identification methods.Pete had visited Brazil many times as is recorded in his autobiography74 when working for CIBA, but in 1971, under the auspices of the British Council, he visited the laboratories of notable parasitologists in Rio de Janeiro, Minas Gerais and from there he came to Belém and the IEC. Over the years a lot of our strains went to Liverpool and were examined by the new identification methods that were being developed there, such as nDNA and kDNA buoyant density75 and isoenzymes76. However, as far as I can remember the very first isolates to leave Brazil for Liverpool were in six pairs of hamsters in Pete's (Wallace Peters) briefcase. Later with better airline connections we and our collaborators took cultures instead of infected hamsters which were much less complicated. It was becoming obvious in the early 1970s that MLEE was the method of choice for identifying Leishmania. Dr Michael Miles was one of the first London-Harvard Fellows to work in Brazil with a team in Bahia that was supported by the Wellcome Trust. In 1977 he published an isoenzyme paper with Dr David Godfrey77 showing that there were two genetically distinct groups of Trypanosoma (Schizotrypanum) cruzi circulating in São Felipe, Bahia State. More details of the beginning of isoenzyme work in the IEC can be found in Michael's article78 on Chagas disease that is published in the same issue of Revista Pan-Amazônica de Saúde as this article. His wife Jean gave tremendous support and worked side by side with Michael during the difficult days when the MLEE laboratory was being set up. Also later she generously helped in typing the complicated manuscripts in the absence of secretaries and computers! He was joined by Adelson de Souza and Marinete Póvoa in 1977. Both also participated actively in the work on leishmaniasis and Adelson took over the phlebotomine laboratories when Lee Ryan left. Isoenzymes became the gold standard for Leishmania identification but there was one serious problem - to make a suitable enzyme extracts you needed lots of parasites. This is one of the reasons that there has been a move towards molecular based methods.Our first in-house leishmanial isoenzyme paper dealt with L. (L.) amazonensis and L. hertigi parasites was published in 198079 and showed clearly that they were very different. A later study80 showed that the enzyme patterns of an armadillo parasite were quite distinct from other Leishmania and it was subsequently named L. (V.) naiffi37. One of our best technicians, Roberto Naiffi moved to Manaus, Amazonas State to work with the late Dr Jorge Arias who was starting a leishmaniasis unit in the Instituto Nacional de Pesquisas da Amazônia (INPA). Given our experience in the field of leishmaniasis identification and phlebotomine biology he collaborated actively with Michael81 and Paul64,82.Michael returned to the LSHTM Protozoology Department to head their Wolfson Molecular Biology Unit. Marinete took over the isoenzyme analyses and before moving to the newly established IEC malaria unit trained Dr Roseli Braga. The papers generated by Michael's laboratory were the first to use of the MLEE technique in South America to identify Leishmania. In 1980, the same year as our first paper there was a publication by Richard Kreutzer and Howard Christensen83 on the MLEE identification of Panamanian Leishmania. Today the MLEE is still one of the methods used to characterize Leishmania. In 1981 Harvard University's Dr Diane McMahon-Pratt and Prof John David published a seminal paper in Nature84 on the identification of Leishmania using monoclonal antibodies. However, in 1980 John had written saying he would like to visit us and in the same year he came with Diane to show us this new identification method. It was truly revolutionary and became one of the most important identification methods in our laboratory. It also sealed two very special personal friendships and future collaborations that extended far into the future involving later diagnostic work that I was involved in with colleagues in São Paulo. We decided that for us the best method for using the monoclonals was an immunofluorescence assay (IFA). For the first time we were able to directly identify flagellates in slides made from naturally infected sand flies85. Building on our experience with routine diagnostic IFA tests we used slides with 12 rings on that allowed the use of a panel of 11 monoclonals on a single slide. Ascites was best and instead of using a simple IFA test we developed one with fluoresce in labelled avidin86. An additional grant from the Wellcome Trust allowed me to employ a postdoc, Dr Katharine Hanham, who produced monoclonals for other species of Leishmania in Diane's laboratory in Yale86,87,88. This method enabled us to detect on isolation parasites that were potentially new species. For me its speed and simplicity rival with the more complicated molecular methods in the routine identifications. At a 1980 workshop on the Biochemical Characterization of Leishmania Proceedings of a Workshop held at the Pan American Health Organization in Washington, DC Dr Douglas Barker reported clear similarities between the kDNA of parasites of the subgenus L. (Leishmania)89. Later90, using WPU/IEC isolates, he showed that the same was true of L. (Viannia) kDNA and that it was different from that of the other subgenus90. He visited Belém in 1985 with Lorna Gibson and tried some in situ hybridisations using non-radioactive probes but the results were difficult to interpret. Just before his visit he had been to Venezuela and had seen a DNA amplification method. He was excited about this and was convinced that it was where the future lay - he was right. It was the beginning of the polymerase chain reaction (PCR) that revolutionized molecular diagnosis. In 1991 and 1992 Douglas and Salih Erish returned to the IEC to teach us the PCR and southern blot techniques. Edna Ishikawa, who had been with us since 1984, and was performing identifications with monoclonal antibodies at the time, became their prime student and from then on, she ably took charge of developing our molecular diagnostic methods. This included the use of Random-Amplified Polymorphic DNA (RAPD)91 that had been successfully used in Minas Gerais and kDNA primers developed in Douglas's Cambridge laboratory92. The latter became important tools in patient diagnosis and indicating potential wild reservoirs. Dr Allister Voller had developed an indirect fluorescent antibody test (IFAT) for the diagnosis of malaria93. So when Prof Garnham asked me in 1962 to look at a serum sample from a suspected case of Indian visceral leishmaniasis I asked him for help. He had the technique and I had the parasites and so an IFAT for the diagnosis of kala-azar was born94. I had no idea how important this was going to be in the future. The only diagnostic test for toxoplasmosis in Belém up until 1976 was the Sabin-Feldman dye test. A difficult test that required handling live parasite. One-day in 1975 Dr Miguel Azevedo asked me if I would set up a Toxoplasma IFAT in the IEC. I was a bit rusty having done my last IFATs 13 years ago! Parasites, reagents and equipment were arranged and the IFAT was up and running in 1976 for toxoplasmosis. Adapting it for leishmaniasis and Chagas was relatively easy except for the choice of antigen. Acetone fixed hamster amastigotes were the best and we even managed to make a formalized amastigote antigen (Figure 12) that worked perfectly after four months' storage at 4o C95. The door to parasitic serology in the IEC had been opened. For many years to follow the IEC was the central laboratory for canine visceral leishmaniasis serology in Pará State. For many years to follow the IEC was the central laboratory for canine visceral leishmaniasis serology in Pará State. Initially Maria José Ferreira dos Santos performed all visceral leishmaniasis IFA tests for both patients and dogs. In 1984 SUCAM seconded Edna Ishikawa to the IEC to deal with the samples from the Santarem VL epidemic. This was indeed fortuitous because her aptitude in the laboratory led to the successful establishment of molecular diagnostic methods. Lourdes Maria Garcez joined the leishmaniasis group in the 1990's to explore other serological tests for leishmaniasis that could be semi-automated. The test of choice was the ELISA that used a 96-well assay plate and automatic electronic reading. It was envisaged as replacing the IFAT as the routine method for dog screening in public health laboratories. She trained with Dr Maria Carolina Soares Guimarães at the Instituto de Medicina Tropical de São Paulo and on her return she set up the test in Belém. She collaborated in the serological analysis of cohort study on canine of Marajó53. Other serological tests for leishmaniasis that did not require complex equipment were becoming popular. One in particular, the direct agglutination test96, that did not require in special antisera, was being sponsored by World Health Organization (WHO). Lourdes developed this test in the IEC. Very large quantities of promastigotes are required to prepare the antigen and she found that L. (L.) donovani grew more luxuriantly97 than L. (L.) infantum chagasi. The test proved to be specific and sensitive in patients but not in dogs when compared to ELISA and IFAT results. The experimental studies in non-human primates were continued by Lourdes Garcez during her doctoral studies98 in collaboration with Patrick Abdala Fonseca Gomes, Patrícia Karla Ramos and Railson Acioli de Souza who were students supported by CNPq's Scholarship Program for Scientific and Technological Initiation and studying for their masters' degrees. In passing I would like to mention that during the 1990's that it was almost impossible to hire technical staff. I had heard that the CNPq had institutional grants for students. This was the answer and I got on a plane to Brasília visited the manager of the section that dealt with these grants. I explained the situation and to my satisfaction and surprise I came back with 10 institutional student grants! Although this work was performed after Wellcome Trust support had finished it was a continuation of research that it had initiated and was continued under WHO support. It showed that there was a clear relationship between the presence of cutaneous lesions and antibodies. As the lesion healed antibody titres fell. This same antibody profile was noted in patients99 being treated for Panamanian cutaneous leishmaniasis.However, it could go undetected if a heterologous antigen were used (Figure 13). One of the most useful tools for investigating the epidemiology of both cutaneous and visceral leishmaniasis is the Montenegro reaction which is a delayed hypersensitivity skin test to leishmanial antigen. Due to difficulties in obtaining the antigen one was produced in the IEC Wellcome Parasitology Unit. It was made from the culture forms of a L. (L.) amazonensis strain and was used in surveys100 and in-house clinical examinations. Amongst the difficulties of using this type of antigen is its standardization and the fact that it is produced from culture forms which is not what the immune system sees. Latterly an excreted antigen was produced35 that elicited both immediate and delayed reactions. The nitrogen content of this antigen was extremely small compared to that of the whole leishmania promastigote, showing that different antigens elicit delayed hypersensitivity reactions. Over the years we observed that patients with positive skin tests became infected, so this reaction is not an indicator of immunity. 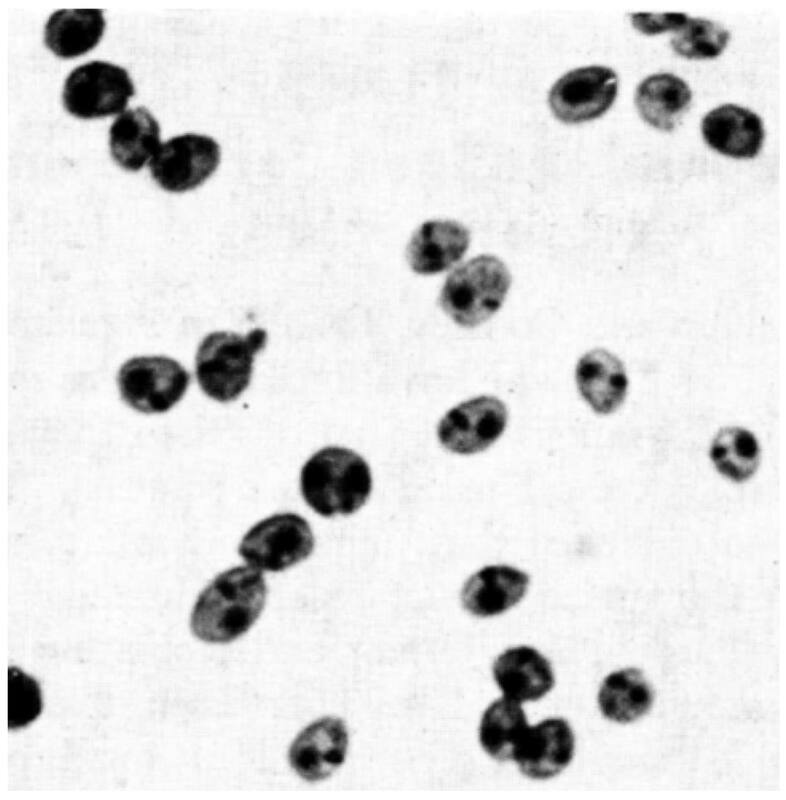 The Montenegro test was widely used as a diagnostic tool due to its simplicity and was important in important tool in understanding the pathology of the different clinical forms of cutaneous leishmaniasis36. Our collection of leishmania and trypanosome isolates grew alarmingly and even with ample staff, in 1972 we had 11 technicians, a great deal of time and reagents were spent their maintenance. To temporarily circumvent this problem, we used Noguchi-Wenyon semi-liquid medium as described by Taylor and Baker101 in which the parasites survive for a month or more, especially the T. (S.) cruzi. Cryo preservation was the obvious long-term solution but up until then the supply of liquid nitrogen, a bi-product of the White-Martins production of oxygen, was expensive and erratic. In 1975 cryogenic dewars were imported. Following the techniques used for African trypanosomes102, we tested different methods of slow freezing using 10% glycerol. We found that fast as opposed to slow thawing considerable improved survival and in April 1976 we began freezing our trypanosomatid collection that included Old World reference strain. For many years we were unable to cultivate what we called "our slow growing strains" which included L. (V.) braziliensis and L. (V.) guyanensis. When in Panama I met Dr Bryce Walton who at the time was working at the United States Army Medical Research Unit (USAMRU) in Panama, it was the beginning of a lifelong friendship. I am not sure why but Bryce decided to visit us and brought with him some tubes containing the media routinely used in USAMRU. Bryce wanted isolates of our slow growing strains from hamsters. We selected a few infected animals and made duplicate cultures in his media and ours. He only examined his cultures in Panama and wrote that they were all growing well. Those in our media grew initially but died out.The USAMRU media was for us the Rosetta Stone as it allowed us to understand more clearly the viannias103. It is still the media of choice for initial isolations although some parasites remain refractory to cultivation even in this medium. 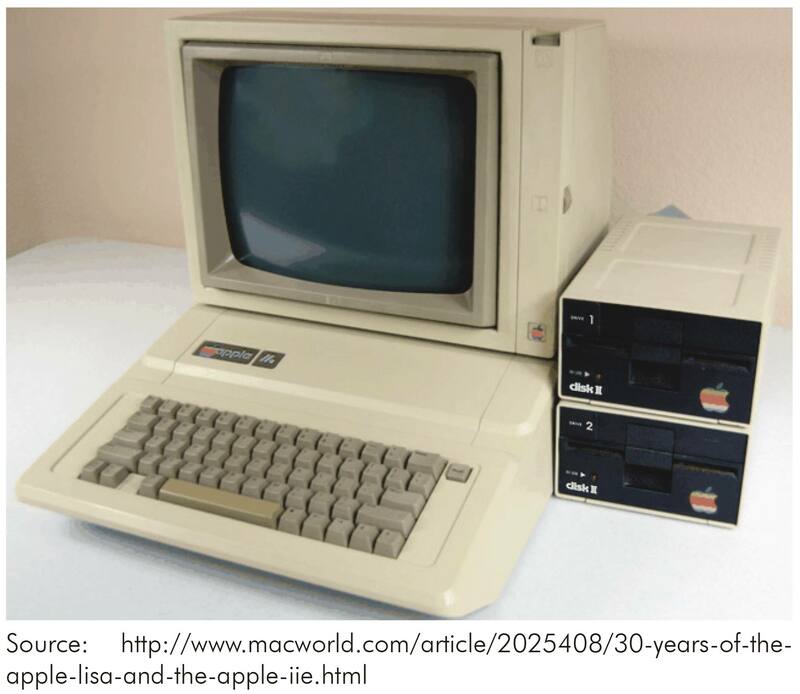 The first computer to be used in the IEC was an Apple IIe (Figure 14). Its destination was to administration and not to research. The Wellcome Trust had decided that the local accounts must be audited professionally. To do this we would have to arrange the accounting to fit their requirements. How on earth could we do this, especially as we were dealing with two currencies and an exchange rate that changed virtually every 24 h? 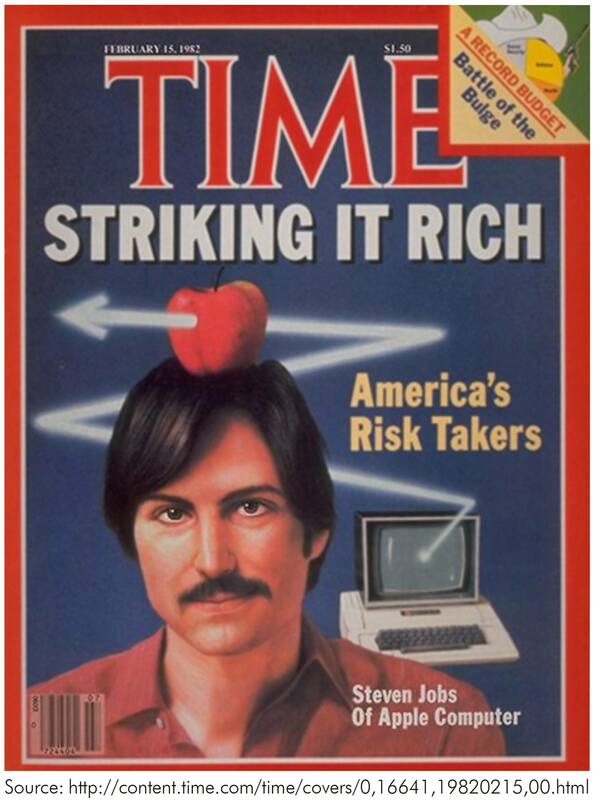 I received my February 16th 1982 issue of Time magazine and on its cover was the answer "Steve Jobs" with the Apple II (Figure 15). 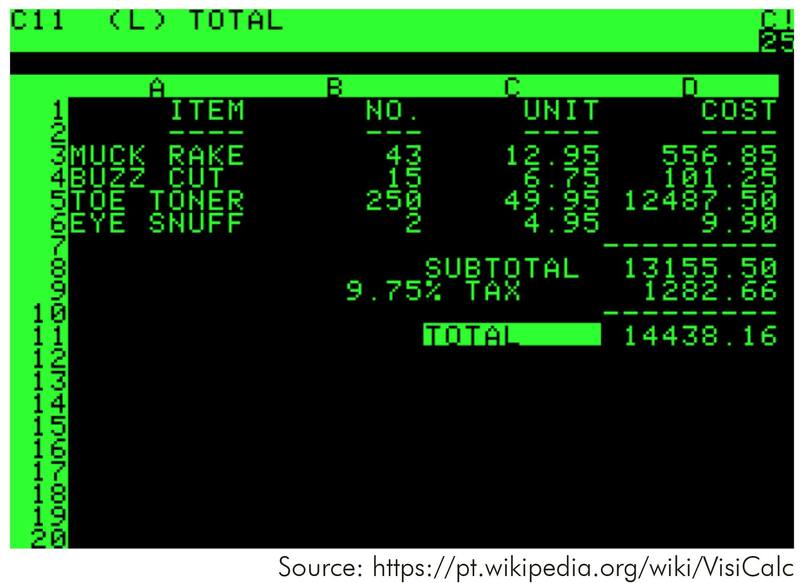 I was very impressed by what I read but even more so by a subsequent article in later issue of the same magazine on VisiCalc (for "visible calculator") that worked on the Apple II. That sealed it and we made an urgent request to the Trust for the purchase of an Apple IIe and the VisiCalc program. This program is considered to have been a major player in popularizing personnel computers and in my case that was indeed very true. I was to spend many hours mastering the green screen (Figure 16) but it was certainly worth it. Unfortunately, I do not have an accurate record of when our first Apple IIe arrived but it took much longer than we had expected due the restrictions of the military government on the importation of computers. Gradually the use of this new tool gravitated to science. Towards the end it was used more in the laboratory than in the office, we ended up with three Apple IIe computers! They helped organize and analyse the cryobank and monoclonal antibody results, using programs that I wrote and compiled in Dbase II, as well as writing papers. They also introduced the technical staff to computers which was a very important step forward. In the 1990's we were linked to the Internet and so began the first IEC email. A meeting on the organization of culture collections was promoted in 1992 by the Pan-American Health Organization (PAHO) under the guidance of Dr Lois Blaine, head of ATCC's (American Type Culture Collection) bioinformatics section together with Dr Micah Krichevski at the André Tosello Foundation in Campinas. I was invited as PAHO knew of the WPU/IEC large collection of cryopreserved protozoa and the fact that they had imported a computer for us. Besides the collections Lois was interested in establishing networks between groups using the new web that began in 1991. Given my experience with leishmaniasis it was decided to start an email list dedicated to this disease and I became its moderator. So in 1992 Leish-L (http://lineu.icb.usp.br/cgi-bin/mailman/listinfo/leish-l) was born104 and today it has just over 2,700 subscribers. Leis-L is another important legacy of the WT/IEC collaboration. The Wellcome Trust's influence in the IEC was exceptional. As the Rockefeller Foundation, had created a flourishing Arbovirology Section the Trust created a flourishing Parasitology Section. Trust funding over the years in the IEC was responsible for the production of over 500 scientific works in parasitology that included original papers and book chapters. The impact of these works reverberated and ramified throughout the world stimulating and challenging workers in different parasitological areas, especially those related to leishmaniasis and Chagas disease. I am honoured and proud to have been a small part of this. So many people contributed to the Wellcome Trust's successful collaboration with the IEC but nobody was less or more important than another. The enthusiasm of each person from London to Rio to Brasília and from the laboratory to the field was the essential ingredient that made it work. In my text I have mentioned those who spearheaded areas of research and I do not plan to repeat their names here. My concern as I write is that inadvertently I have omitted somebody, if I have please forgive me and let me know. So here I wish to thank those whose dedication and technical skills, performed in some cases under very difficult circumstances, contributed to the scientific success of the WT/IEC collaboration: Aluízio de Figueiredo Silva, Antônio Júlio de Oliveira Monteiro, Augusto Francisco Nascimento Filho, Cezarina do Nascimento Arcanjo, Constância Maia Franco, Cristina de Araújo Loureiro, Deocleciano Galiza Primo, Francisco dos Santos Gomes, Guilherme Brígido Nunes, Henrique Wenceslau da Silva Buna, Iorlando da Rocha Barata, João Batista Palheta da Luz, José Aprígio Nunes Lima, José Itamar de Almeida, José Moreira da Rocha, José Paulo Nascimento Cruz, Júlio César Jesus Gama, Lenite da Silveira da Silva, Leônidas de Souza Elizeu, Manuel Carmelino Mendes de Souza, Maria Auxiliadora Shaw, Maria das Graças Soares da Silva, Maria José Ferreira dos Santos, Maricleide Daibes Naiff, Raimundo Bacelar Palheta, Raimundo Nonato Barbosa Pires, Raimundo Nivaldo de Almeida, Raimundo Cunha Mendonça, Roberto Daibes Naiff, Sebastião Fernando de Oliveira, Sued de Nazaré Freitas Silva, Zuila de Jesus Coelho Corrêa. Sadly, some are no longer with us but I am delighted that some who are mentioned above went on to take degrees after Wellcome Trust funding finished and have contributed with your own research. To all of you, and I am certain that if Ralph were here he would agree completely, we are truly grateful and are honoured by your friendship and loyalty - Thank you! We are especially indebted to the Wellcome Trust for their unfailing support, to the IEC's mother agency, the Brazilian Ministry of Health's Fundação Serviços de Saúde Pública (FSESP) for their generosity over the years, to the PAHO who facilitated equipment importation, to the Superintendência de Desenvolvimento da Amazônia (SUDAM) for financial assistance with field workand to the CNPq (The National Council for Scientific and Technological Development) for their student support (PIBIC) and for my own at the time of writing through a CNPq research grant (PQ 1A). The following editors gave their permission to reproduce certain illustrations: Acta Tropica, figure 1; Transaction of the Royal Society of Tropical Medicine and Hygiene, figure 5; and Memórias do Instituto Oswaldo Cruz, figures 6A and 6B.